Overnight waffles are totally doable on a weekday morning. They are also special enough for a weekend brunch or a holiday (hint, hint… Valentine’s Day). Breakfast might be my favorite meal of the day. I like a hearty meal with some protein in it. When I was pregnant with my first child, I discovered that protein in the morning made me feel better all day long. I have more energy and less lows. So most mornings I try to prepare a breakfast that has a good amount of protein, usually from eggs and dairy. And waffles are an especially comforting way to accomplish that goal. But to make the batter and cook enough to feed my family on a busy weekday morning is daunting. 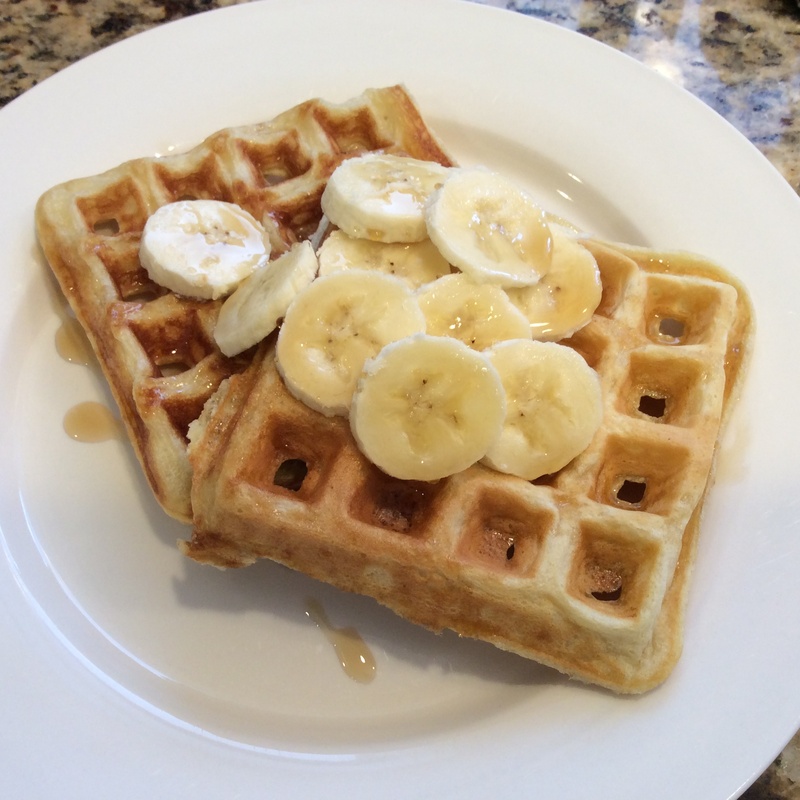 Then, several years back, I came across a recipe for make-ahead waffle batter in Shirley Corriher’s book, Cookwise. After a few tweaks (I cut back on the butter and substituted skim for whole milk), I have a recipe I can manage on a weekday morning. 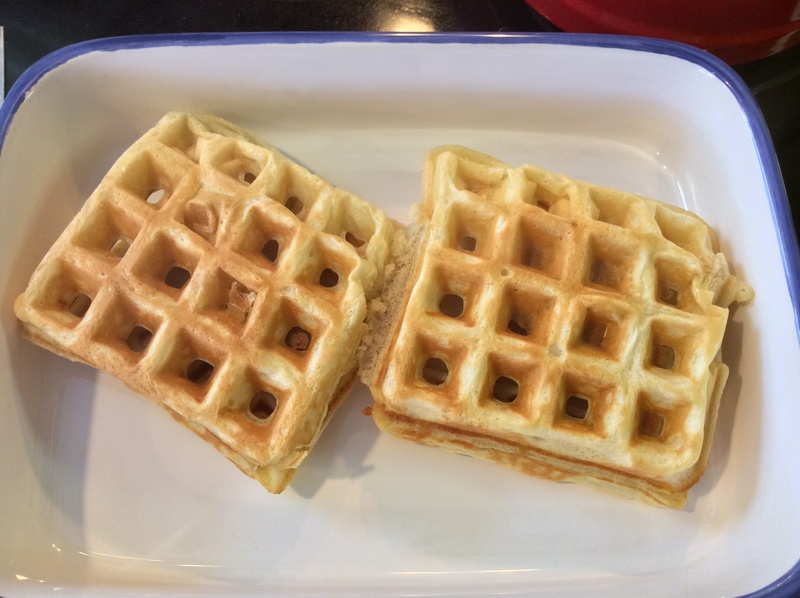 I also doubled the original recipe because I like to put leftover waffles in my freezer so my kids can help themselves. These overnight waffles are similar to the popular Brussels waffles found in Belgium. They are light, crisp, deep-pocketed and, unlike most American waffle batters, they use yeast for leavening. This is significant because it helps produce that light texture and it also lets us make the batter the night before. Step one is mixing up all the ingredients except the eggs and baking soda in a large bowl. Now finish off the batter by mixing in the eggs and baking soda before pouring it into a hot waffle iron. I like my waffles crisp on the outside and soft and tender on the inside so I cook mine until just golden. Top your waffles with syrup, fruit or powdered sugar. If you have any berries in your freezer, you can even make a quick fruit topping by boiling berries and sugar together until syrupy. What a wonderful way to start your day. 1. 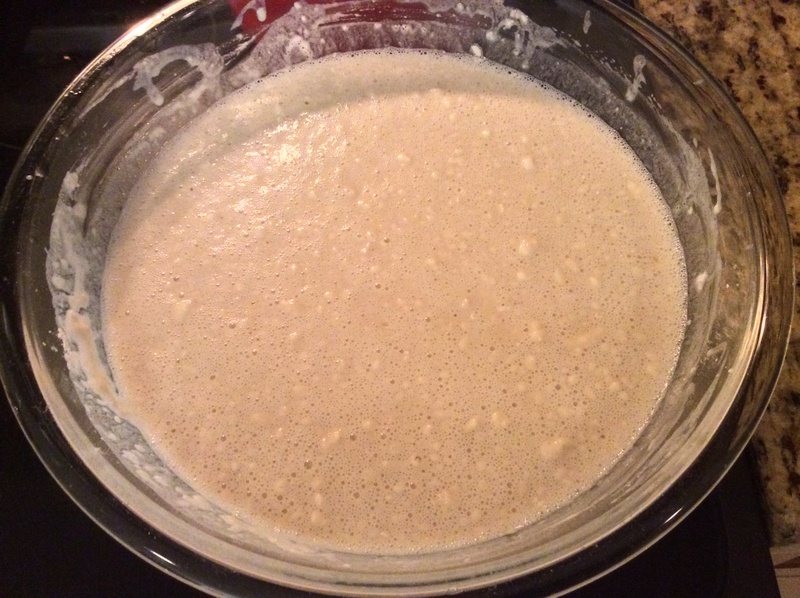 Sprinkle the yeast on warm water in a very large bowl and let stand for 5 minutes. Add the warm milk, melted butter, sugar, salt and flour and beat together until smooth. Cover with plastic wrap and let stand overnight. If your home is 70°F or lower, leave at room temperature. Warmer than 70°F, refrigerate overnight. 2. Next morning, preheat your waffle iron. 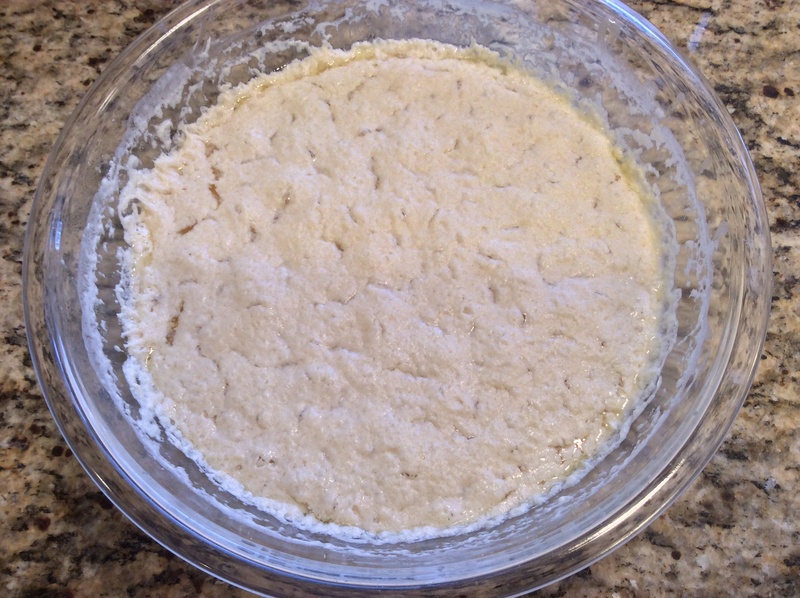 Then beat the eggs and baking soda into the batter. Pour into your waffle iron, filling each waffle section to the top. 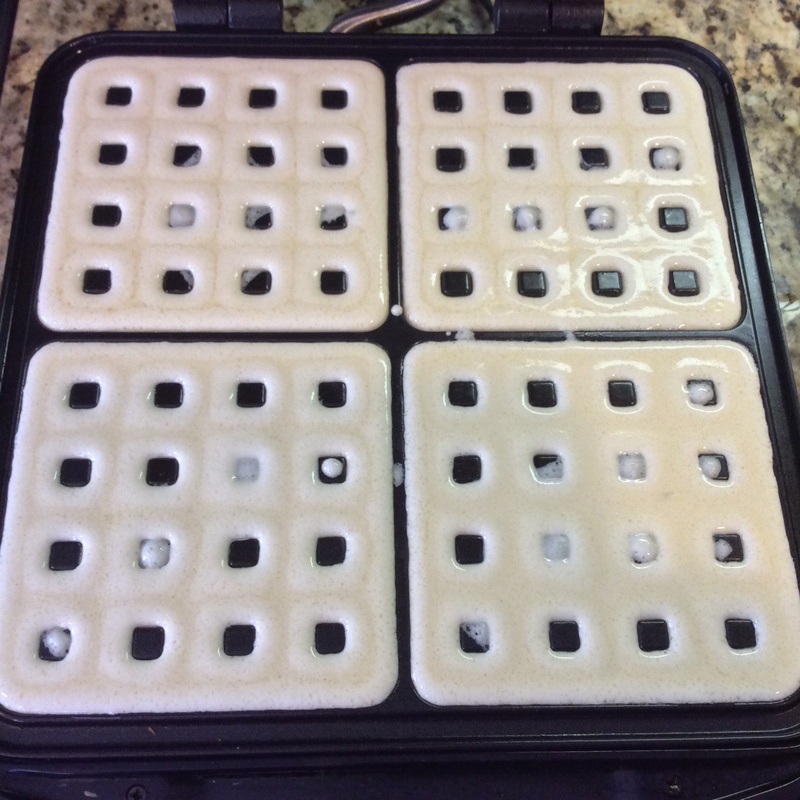 My waffle iron uses about 1/2 cup per section.